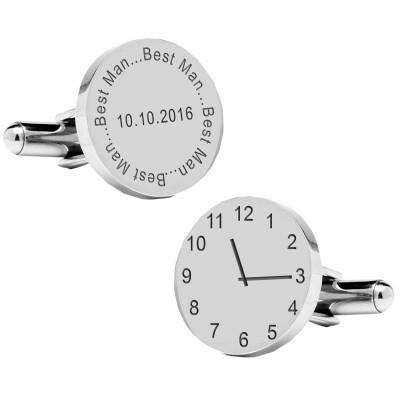 High quality round silver plated cufflinks to capture a special moment in time. The first cufflink is engraved with Best Man and the date of the wedding. The second cufflink is engraved with the time of the wedding.